Being late because of your hair is not a new phanamonom.For me In the past I was always running late and I bet you can guess what I got stuck on. Yup that’s right my hair. Just the other day I had a meeting scheduled. I was on track. I got up on time. My breakfast was simple so I cut my time in half. Every thing was going according to plan until I got to my hair.I just didn’t square off enough time to do what needed to be done. We all will have days when our hair will be in the way but it doesn’t have to be. although the other day was rough, days when it comes to styling my hair to cause me to be late are far and few in between. The answer to the horrible cycle is prepping your hair for the next style. Here are a few tips to help you master hair management. My first tip is to plan ahead. Planning ahead means you know what style you’re going to do and you have mapped out how long it will take to do the style. Here is the thing you have to be honest with yourself. No girlfriend it will not take a half an hour to wash, condition, blow dry and straighten your hair! Remain realistic, because time is very real and you want to use it to your advantage.For instance if your hair won’t be dry by the time you are supposed to walk out the door you might want to rethink your hair style or do it the day before your big event. Once you have planned ahead sit your tools out. Double check to make sure you have everything you need. When I lay my tools out I can really make sure that I have everything. It really takes the guessing out. 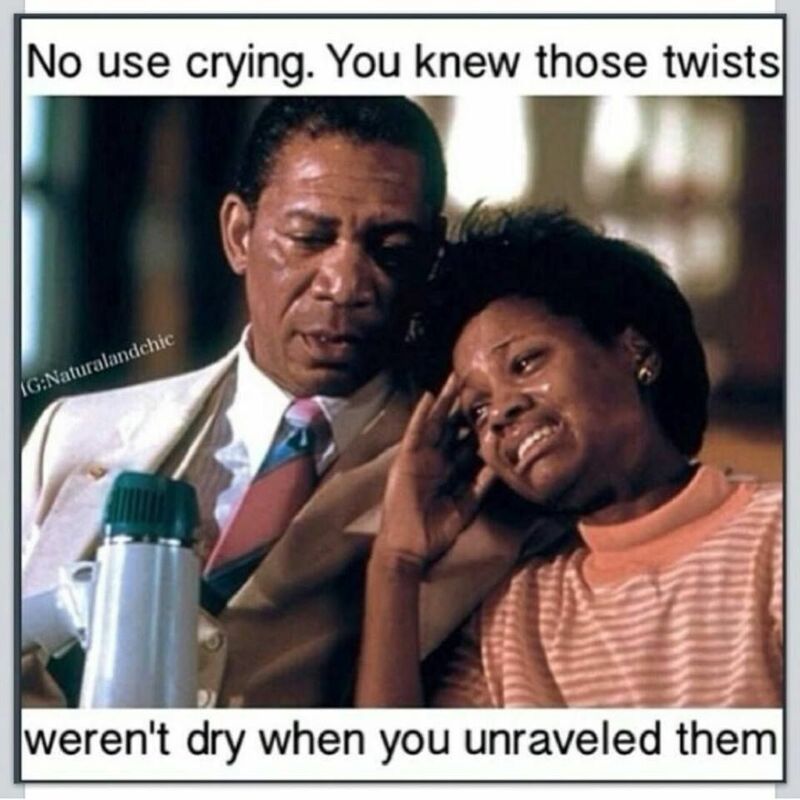 You don’t want to be half way through a flexi rod set and not have enough rods to finish true story. If you need to reach into your reserves for a specific hair product you’ll know right away. I’m sure that plenty of trips to the convenience store are of women who noticed they were out of hair product. Finding out ahead of time can avert would could have been a hair crisis. Planning ahead and setting your tools out are both very helpful but they mean nothing if your foundation is off. Be sure to properly cleanse condition and add moisture to your hair before you begin your braid out, blow out or other wise. I know for myself that if I have product build up on my scalp and hair applying more product will just make my hair an icky mess. Well maintained hair looks best so take time out to care for your hair. By doing so manipulating it later into the hairstyle you want will be as effortless as possible. last but not least preservation is key. Once you have that bomb twist out or bantu knot set maintaining that hair style can save you time and effort. If you have a busy week ahead the last thing you want to be worried about is doing your hair everyday. The simple solution is wrapping that beautiful head of curls and diving in to whatever your night-time routine is. It’s easy to let things get away from you. Life can be hard our hair shouldn’t be.Remember, be happy, be curly, be you, and you will not fail! This Post was posted in Hair care, Styling and tagged #curlychics, #curlyhair, #haircare, #naturalhaircommunity, #naturalhairstyles, #naturallycurly, #twistouts, #twists, healthy hair, natural hair. Bookmark the permalink.